At Pink Foundation, we offer early childhood care in remote villages of India. 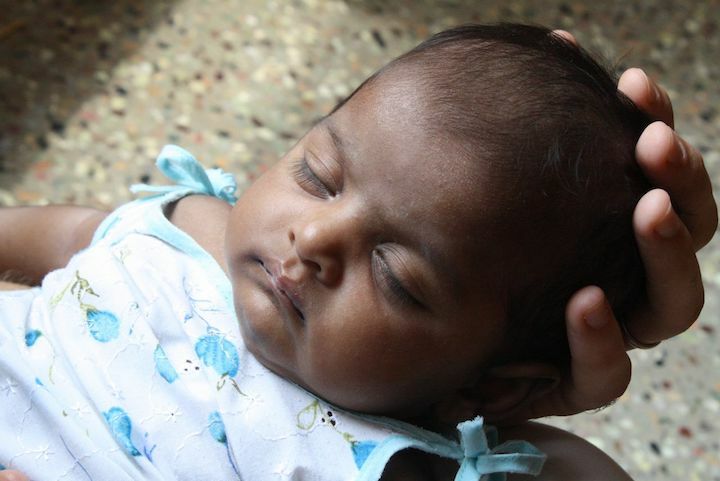 This program feeds and cares for baby girls and little girls who have been rescued from female gendercide. We help their mothers by feeding, clothing and immunizing these little girls, to ensure they are nourished and thriving! 100% of your monthly donation will go directly to the field to care for these babies and little girls​. It always has. It always will. We maintain that promise. For $15 each month, you can provide the care a baby needs to grow strong and healthy. Located in one of the worst areas in India for female gendercide, one of Pink partners in South India has already rescued over 200 girls from being killed. This partner forms relationships with village families and is able to determine whose pregnancies are considered at “high risk” of female infanticide. A pregnancy might be considered at high risk, for instance, when a family already has a girl child. Pink Partner educates the parents and their extended families on the value of daughters, working intensively with each family to build familial bonds, with the help of social workers. Pink Partner provides prenatal care for the mother and baby. Once a little girl is born, our Partner continues to support the family. Because of our Partner’s success, these little girls have remained in their parents’ homes and with your help with thrive.